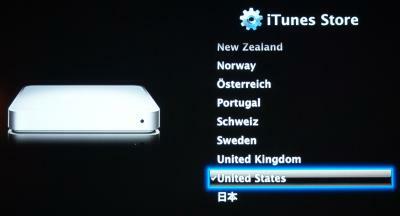 Apple TV Update To See iTunes Store Integration? One of the early criticisms of the Apple TV was that it was unable to purchase content without the use of iTunes on a Mac or PC. We don't have any solid rumor-intelligence to claim that direct-purchasing from the iTunes store will indeed be added to the Apple TV, and in general dislike speculation in our articles at MacRumors. However, in this case the evidence seems to be clearly adding up to a future software update to Apple TV. The setting appears to have little effect currently, leading to further the idea that the menu is meant for future purposes. Note: While we were writing this story, LoopRumors posted claiming to have received word from "reliable" sources that just such an update is coming.